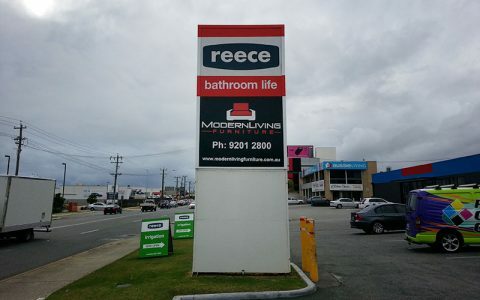 Business signage often needs to be changed when a rebrand is necessary. 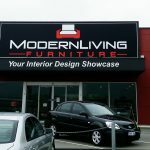 Perth Graphics Centre was enlisted to help with the rebranding of Minkz Furniture’s building to ModernLiving Furniture in Osborne Park. Using a high strength sailtrack skin, Perth Graphics Centre replaced the existing banner and lightbox faces with new signage. The signage now reflects the new corporate look and the rebranding is complete. 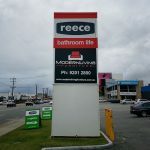 If you’re a business who needs signage to assist with rebranding, then please give us a call. 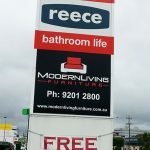 Perth Graphics Centre will be happy to quote on your new signs.